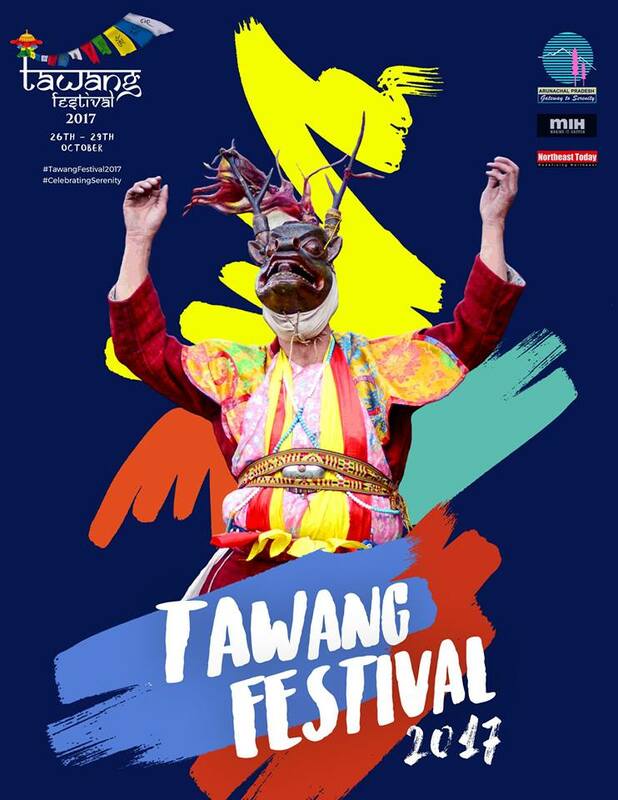 This year's Tawang festival in Arunachal Pradesh is all set to begin on the 26th of October. Pick up your backpack to Arunachal and soak in the beauty that is Tawang. 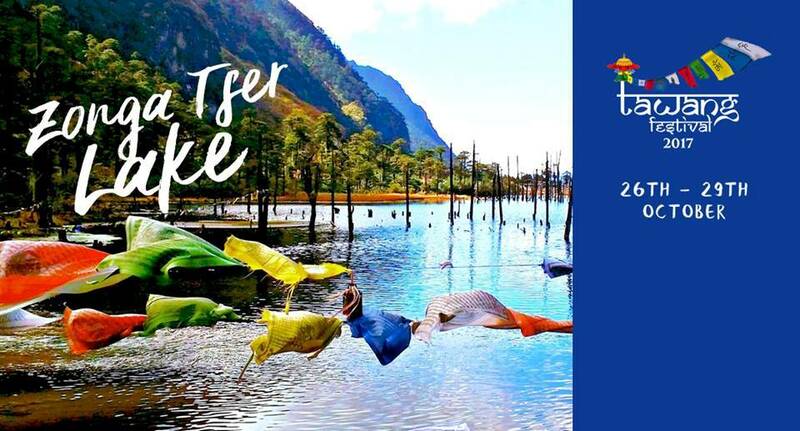 Started in 2012, by the department of tourism, Arunachal Pradesh – the Tawang Festival is all set to begin on the 26th of October for four days. If you have been planning a trip with your folks, this is an ideal time for you to backpack to Arunachal and soak in the beauty that is Tawang. 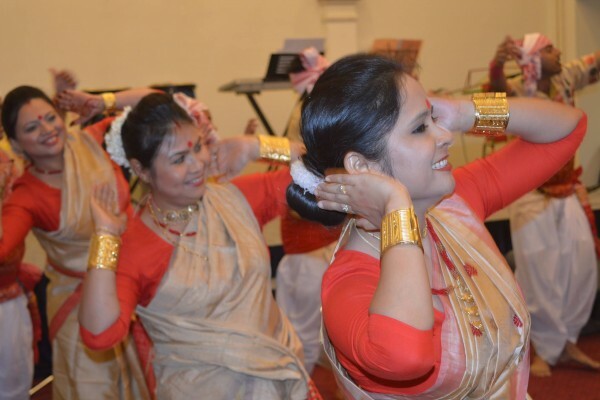 The festival is a tourism extravaganza that puts on display the richness of the monastic tribes and has everything from Buddhist religious functions, traditional dances, showcasing of handloom products and other crafts made by the locals, food festivals, documentaries that focus on the rich history of Arunachal, photography and painting exhibitions, adventure sports and more. This year, the festival is ending with the Tawang International Run 2017, a race at 12000 feet above sea level for extreme sport lovers. Like each year, this year too the festival will begin with Sebang – the religious rally of monks from the Tawang monastery to the festival site. This has now become a religious tradition to declare the festival open. This will be followed by welcoming dignitaries onto the stage – from Bollywood biggies such as John Abraham (who also happens to be the brand ambassador), Arjun Rampal and Anuksha Manchanda (who have been a part of the previous editions), to politicos such as Richard Varma (former US ambassador to India) and Sarbananda Sonwal (CM of Assam), the Tawang festival is also turning into a popular global event. Every evening during the festival, the stage lights up with performances from artists from different Arunachali tribes. 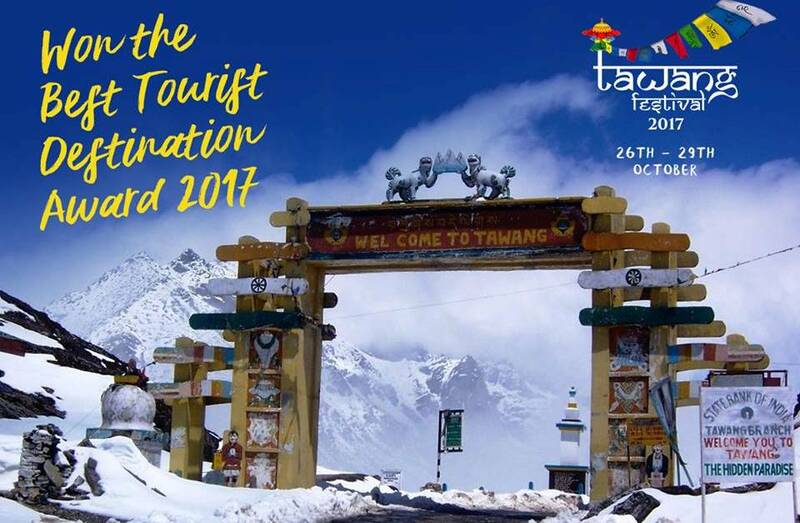 Bagging the titles of the “Best Cultural Festival” and “Best Tourist Destination” of 2017, Tawang is gearing up for this year’s edition and it may be exactly the kind of trip you have been looking for to welcome the winter! This year, Tawang also became the ‘first open defecation free district’ of Arunachal Pradesh under the NDA’s Swachch Bharat Mission. 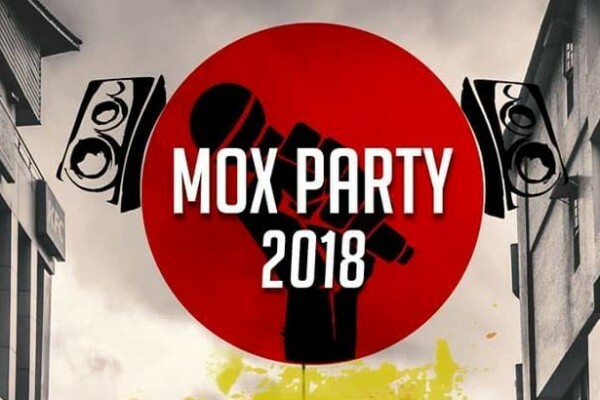 All of this has actually been a conjoined effort of local MLAs, the Zilla Parishad Chairperson, head of departments of various institutions – including the district Superintendent of Police, secretary of the Tawang Monastery, public and local leaders, representatives of the Army, SSB, GREF, ITBP and local NGOs, including the Yuva Arunachal, and student leaders. Tawang is about 500 km, i.e., approx. 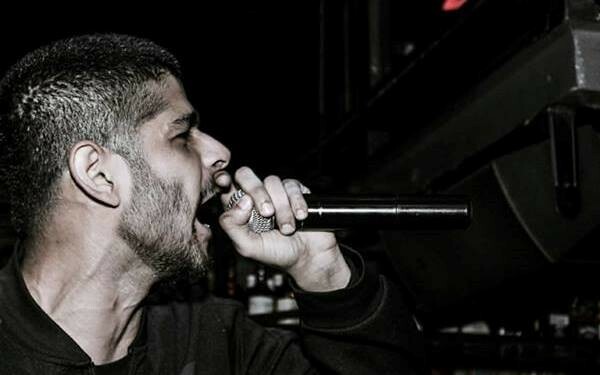 13 hours from Guwahati. 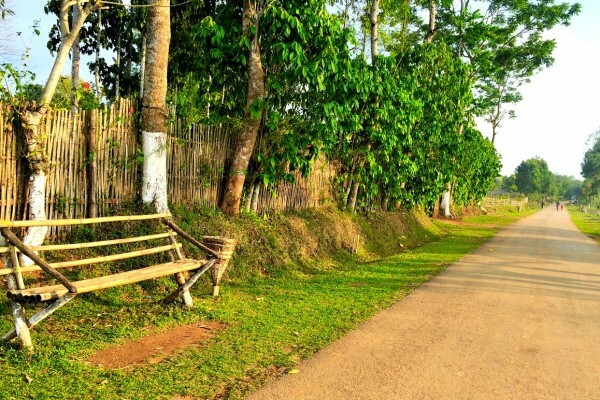 People traveling from Guwahati can get to Tezpur, which is about 4 hours away and from there take a Tata Sumo or Mahindra Bolero – available round the clock. Alternatively, you can also fly to the Salonibari Airport, Tezpur, which is the nearest airport, and then proceed from there. The Lokapriya Gopinath Bordoloi International Airport in Guwahati is situated at a distance of about 480 km from Tawang. Visitors need an ILP to get to Tawang that can be obtained here. Tawang has many hotels to provide you a comfortable stay and delicious food. Alternatively, you can also choose to book home-stays as the locals open their homes up for visitors during the festival. There are also several on location campsites that can be booked on spot.